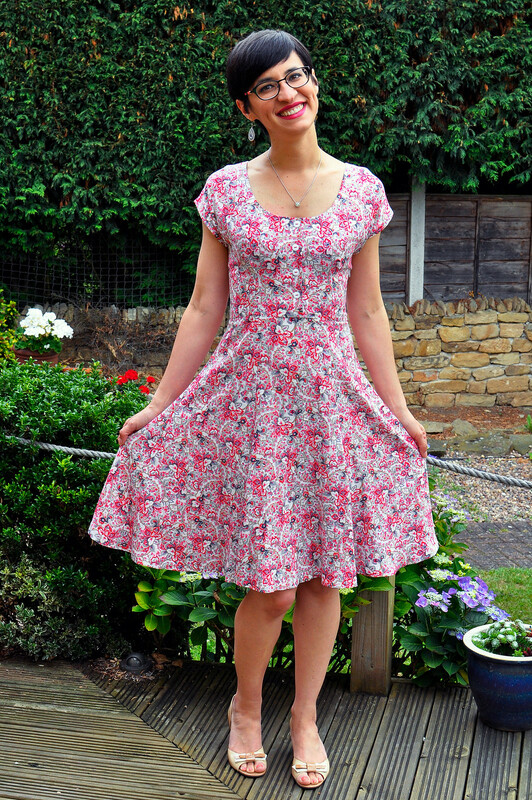 I am slightly ashamed to admit that this dress has been finished, except for its hem, for over a year... I thought it was going to be much more time consuming than it ended up being so I kept putting it off for ever. In my defence, the hem really stretched down in places and until the start of this year I didn't have a dress form to help me even it out. 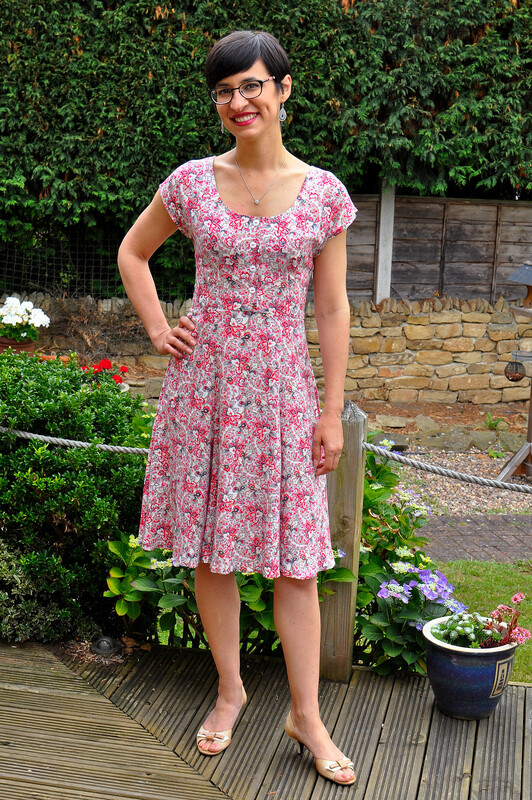 But here it is, in all its glory, the Doris dress! It's a very feminine dress, with the big floaty skirt, grown on sleeves and back waist tie. It was very straightforward to make as well. I cut a size 10, which is my normal Sew Over It size and I didn't make any changes. I like the fit but I might try the size 8 next time, just to have slightly less room on top. Then again, it is super comfortable to wear so I might just live with it. The skirt construction gave me a little bit of a headache. It is constructed by sewing together lots of different panels, which gives the skirt such a lovely shape. And although it was a long time ago, I remember having a hard time matching the panels I had in front of me with the ones on the instructions. It could just be that I didn't label them properly after cutting out, but I'll be keeping that in mind for my next one. 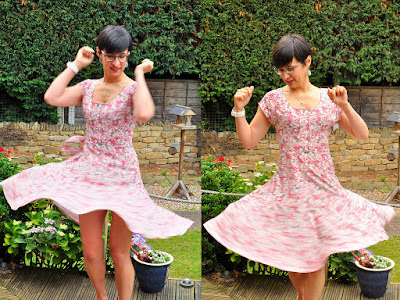 The fabric was a very, very cheap viscose I got from Minerva Crafts. I think it was only 3 quid a metre and it was almost too fluid for this dress. As you can see on the photo below, the weight of the fabric makes the facing turn to the outside. I had to topstitch the neckline to help with that but it's still happening. It's way better than it was before though. As I mentioned at the top of the post, the hemming put me off finishing this dress for a long time. Because of the way the panels are cut and the viscose being as fluid as it is, my hem was ALL. OVER. THE PLACE! Seriously, there were sections I had nothing to cut and there were others where I had to cut over 3 inches to even it out. I'd never had that happen to me and until I got my dress form it would've been a pretty impossible job. I'm glad I finally got my act together and did it though. I like the finished product a lot. And the hem is so very even!!! But my favourite thing about it is, without a shadow of a doubt, the swish power. Just take a look at that!